On February 4, 1922, around 2,000 protesters gathered for picketing of the liquor shop at the local market in Chauri Chaura. Sensing the trouble, armed policemen were sent to the city police station to control the situation. The crowd marched towards the market and started shouting anti-government slogans. The policemen fired into the air as a warning signal. However, it had the reverse effect on the crowd who were in no mood to retreat and started pelting stones at the armed policemen. Seeing the situation was getting out of control, the sub inspector ordered the policemen to commence firing on the advancing crowd. Three protesters were killed on the spot and several others were injured. Seeing this, the crowd became violent and attacked the police from all the sides. The armed policemen lost their courage to fire, seeing thousands of protesters marching towards them. They retreated to the shelter of the police station. The crowd decided to take revenge for their dead comrades and set fire to the building from all the sides. Twenty-two policemen were burnt alive, including the station sub inspector. 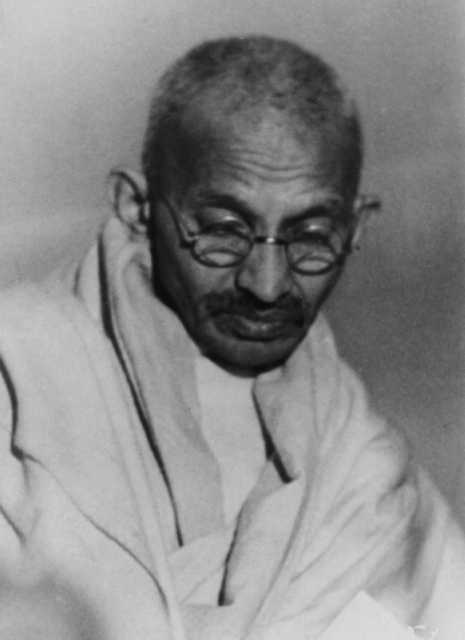 Mahatma Gandhi asked all Indians to end the Non-cooperation movement, and went on a five-day fast to absolve himself of what he perceived as his role in inciting the attacks. Gandhi felt that he had acted too hastily in encouraging a revolt against the British Raj, while not emphasizing the importance of ahimsa (non-violence) and not training the resisters enough. Due to his fast and the exhortation of Congress leaders, Indians gave up civil resistance. A riot which disfigured Bombay during the visit of Prince of Wales in November 1921 had led Gandhi to postpone civil disobedience. Nevertheless, two months later, under growing pressure from his colleagues, he decided to launch a no-tax campaign in Bardoli taluka in Gujarat. He communicated the step he contemplated, with his reasons for it, in a letter to the Viceroy. This was taken by the Government of India as an ultimatum. A head-on collision between the Government on the one hand and the nationalist forces on the other seemed imminent. Gandhi’s letter to the Viceroy was dated February 1,1922. Three days later, there was a clash between a procession and the police at Chauri Chaura, a small village in the United Province, in which the police station was set on fire and 22 policemen were killed.